MOVING SONGS - FULL SHOW! II. Who’s House Is This? IV. Do You Know Him? Stephanie Meyer is a student of Dr. Aidan Soder. This recital is the 110th performance of UMKC Conservatory’s 2015-2016 academic year. Thank you to Mike Strong, Bob Beck, Jane Schaefer, Michael Miller, Ethan Newman, David Kiehl, Leah McIntire-Barnett, David Barnett, Erin Lillie, John Begley, and Nicolas Lira!!!!!! THANK YOU TO THE NELSON-ATKINS MUSEUM OF ART! Thank you to the Nelson-Atkins for hosting our Moving Songs performance on their February 18 Third Thursday event! SPECIAL THANKS to Catherina Mueller, Kreshaun McKinney, Adam Johnson, and Gabriel Piano Services!! Full artist bios for Stephanie Meyer (soprano/creative director), John E. Roberts (choreographer), Lee D. Thompson (piano) Phoebe Perry and DaJuan Johnson (dancers), Jacqueline Wood (narrator), and Qizhen Liu (cello) can be found on previous entries. THANK YOU TO THE UMKC ALUMNI ASSOCIATION AND WOMEN’S COUNCIL!!!! Thank you to the UMKC alumni association for helping to provide honorariums for our Moving Songs artists! Expressed gratitude to Dean Witte, Tamara Morris and Jane K. Allen for your assistance!! Thanks to the UMKC Women’s Council for helping to supply photography, rehearsal space, costumes, piano, and advertisement for Moving Songs!!! Special appreciation to Dr. Hali Fieldman, Dr. Aidan Soder, and Amy Loughman for your guidance and support. The backdrop of Moving Songs features images of Eartha Kitt, John Coltrane, Count Basie, Lena Horne, Dr. Martin Luther King, Jr., and Coretta Scott King taken by the photographers featured in the Nelson-Atkins exhibit Through the Lens: Visions of the African American Experience, 1950-70. Gordon Parks, Roy DeCarava, Charles Moore, Bruce Davidson, and Dawoud Bey are some of the artists featured in the exhibit. “Take My Mother Home” is performed among a series of photos from Dawoud Bey's The Birmingham Project, a collection which symbolically commemorates the four young girls and two boys whose lives were lost on September 15, 1963, in the bombing of the Sixteenth Street Baptist Church in Birmingham, Alabama. Toni Morrison’s poetic narration of self sacrifice for this last song becomes the voice of these innocences, mirrored by the photos of their past, present, and future selves. “VOCALISE” & “DO YOU KNOW HIM?" André Previn composed “Vocalise" for Sylvia McNair and Yo-Yo Ma in 1995. They recorded in July of the same year with Previn at the piano. Yo-Yo Ma, McNair, and Previn also recorded Four Songs with poetry by Toni Morrison at this time. We have selected photos of Dr. Martin Luther King Jr., which are currently on exhibit in the Nelson-Atkins Museum of Art to as the basis for our interpretation of “Vocalise." “Do You Know Him,” from Previn’s Honey and Rue, also calls for passages of singing without words. 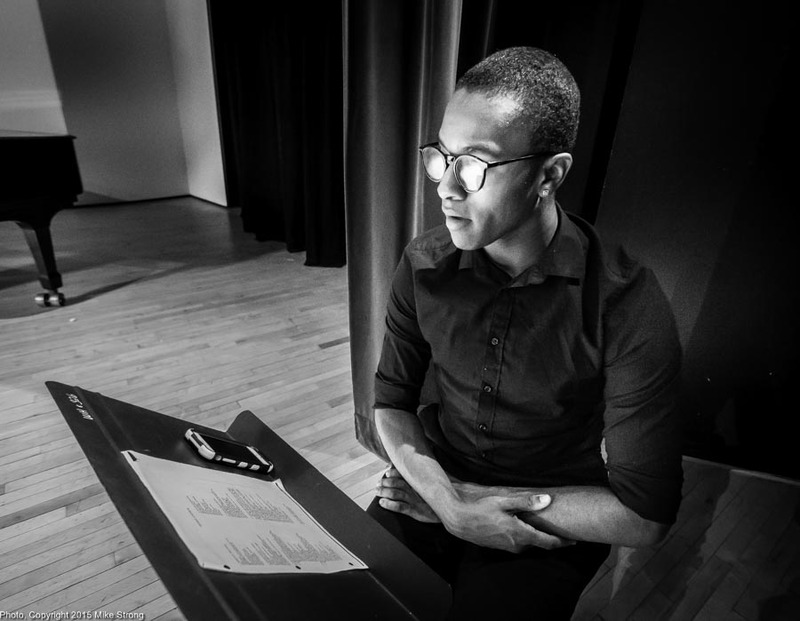 Photos of Coretta Scott King accompany this solo selection for voice, forming a suite in honor of husband and wife within our set of seven songs. 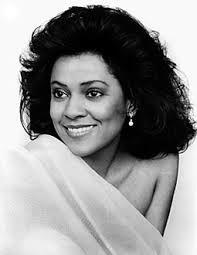 The Carnegie Hall Corporation commissioned Toni Morrison and André Previn to create Honey and Rue specifically for soprano Kathleen Battle. Morrison’s novel The Bluest Eye served as the impetus behind Battle’s requested author for the text. Morrison herself describes Honey and Rue as “images yearning, satisfaction, and resolution" inspired by the struggles in the lives of women and African Americans [CD liner notes]. Honey and Rue, Morrison’s first composition for an original score, contains six songs. “First I’ll Try Love,” a wistful reflection on something seemingly unattainable. “Whose House is this?” is a depiction of alienation inspired by the African-American experience American history. “The Town Is Lit” is a study in contrast between suburban comfort and city excitement. “Do You Know Him?” is an unaccompanied song addressing the Identity of God. “I Am Not Seaworthy” is a dark reflection on drowning inspired by the Middle Passage, and “Take My Mother Home” is a wish for self-sacrifice in the face of slavery [The Critical Companion to Toni Morrison]. Previn abides closely by Morrison’s words, employing free tonalities, frequent hemiola, and the styles of jazz, blues, and spirituals in order to evoke the bittersweet images of the poetry. On the cover page he dedicates the work to his youngest son, Lucas. The work premiered in New York City’s Carnegie Hall with Previn conducting the Orchestra of St. Luke’s on January 5, 1992. Later that year Toni Morrison served as orator for Kathleen Battle’s performance in Avery Fisher Hall. Battle’s performance on Boston Symphony’s Tanglewood Festival opener was described by the New York Times as “a model of understanding luxury, rich and plastic without need or ornament.” Honey and Rue was published in 1993 and recorded in 1995. ArtsKC has awarded $1000 for video and photo documentation of Moving Songs! Additional thanks to Mike Strong for his artistry and industry in helping us to provide high quality work samples for all of the performers involved with Moving Songs!!!! 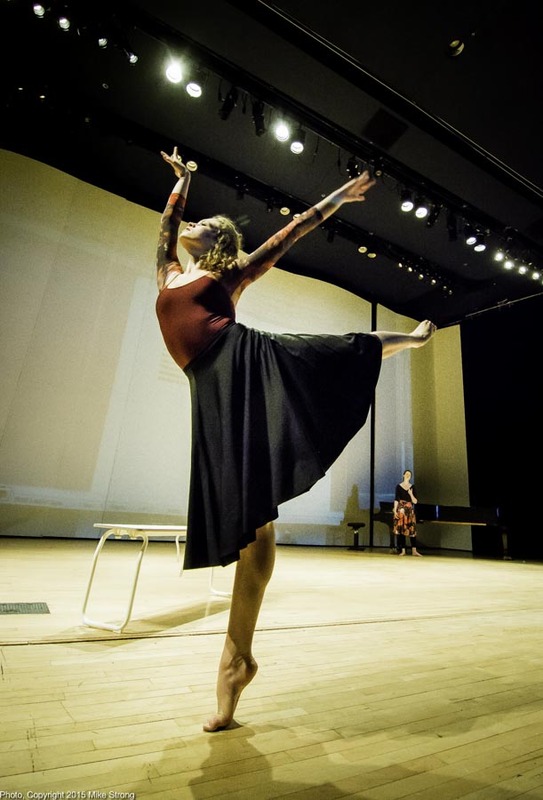 Moving Songs is a live interdisciplinary performance for soprano, two dancers, piano, cello, and narrator. 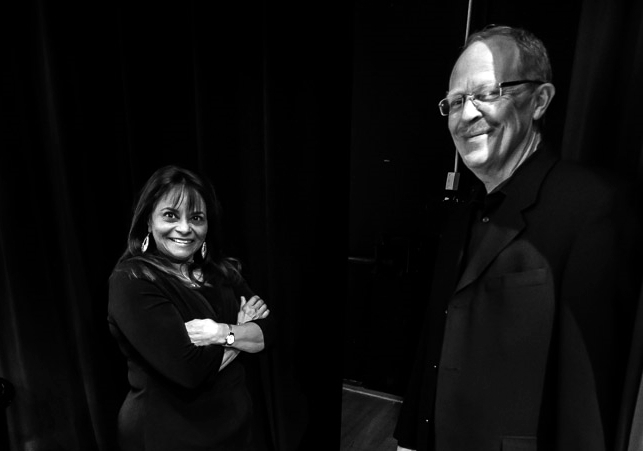 Seven songs composed by André Previn, with poetry by Toni Morrison, and photographs from the Nelson-Atkins’s exhibit Through the Lens: Visions of African American Experience, 1950-1970 will serve as the subject matter for our ensemble. 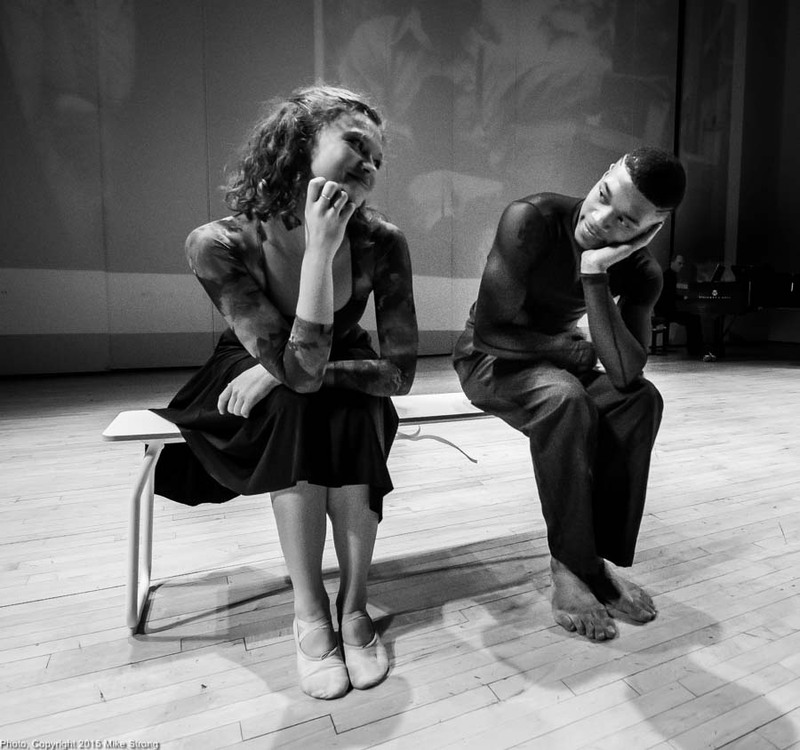 Our artistic intention is to create and share this poignant collaboration with a range of audiences via our synergistic interpretations of song, movement, and photography. Gordon Parks, American (b. United States, 1912-2006). Emerging Man, 1952. Gelatin silver print, Image: 14 7/8 x 19 1/8 inches. Gift of Hallmark Cards, Inc., 2005.27.308. In celebration of Black History Month Moving Songs’s performances on February 2, 7, and 18, 2016 are free and open to the public!! SPECIAL THANKS to the advisors and administrators who have helped Moving Songs to come alive Dr. Aidan Soder, Dr. Hali Fieldman, Dr. Lee Thompson, Dr. Jacqueline Wood, Paula Weber, Jane Schaefer, Sadie DeSantis, Catherina Mueller, and Kreshaun McKinney!!!!!!!!!!!!!!!!! Dr. Jacqueline Wood holds a Ph.D. from University of Florida. She specializes in twentieth century African American literature with an emphasis on African American women dramatists. As an Associate Professor in Black Studies and the Department of English at UMKC, she teaches African American literature survey courses, African American Drama, and African American Poetry. In addition, she has taught courses on early American immigrant experience, women writers of color, and composition and culture. Her scholarship addresses resistant rhetoric in late twentieth century African American women’s drama, and, most recently, the foundational role that Sonia Sanchez has played in informing these black women dramatists’ voices. Dr. Wood has published articles on contemporary black women dramatists Sonia Sanchez, Adrienne Kennedy and Suzan-Lori Parks in journals such as Studies in the Humanities and Journal of Dramatic Theory and Criticism, as well as College Literature, The African American Review, and The College Language Association Journal. She recently published an edited collection of Sonia Sanchez’s plays, Power Plays: The Dramatic Works of Sonia Sanchez, with Duke University Press. She currently editing The Sonia Sanchez Reader, to be published also with Duke University Press. Stephanie Meyer, a DMA candidate at the Conservatory, teaches voice at the UMKC Community Music and Dance Academy. 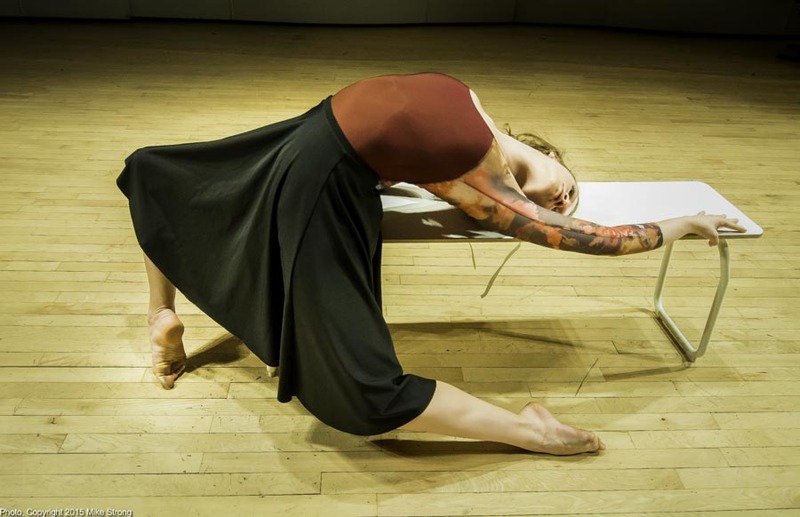 Her collaborative zeal stems from Expanding Harmony Dance Company, directed by Melissa Hauschild-Mork. Stephanie holds a Master of Music from University of Nebraska­‐Lincoln and a Bachelor of Music Education degree from South Dakota State University. Meyer's previous roles include Queen of the Night (Die Zauberflöte), Le feu and Le rossignol (L’enfant et les Sortilèges), Mrs. Fiorentino (Street Scene), La Fée (Cendrillon), Bastienne (Bastien unt Bastienne), Madam Herz (Der Schauspieldirektor), Barbarina (Le Nozze Di Figaro), Tytania (A Midsummer Night’s dream), the title role of Donizetti’s Rita, and Maria (West Side Story). Qizhen Liu, a UMKC Conservatory DMA cello student studying with Carter Enyeart, was recently selected as a finalist in the New York Philharmonic Fellowship in the Music Academy of the West. Only 140 of more than 1600 applicants were invited for enrollment in the academy. After severel audition rounds, Qizhen was chosen as one of the two cellists from the entire festival as finalists for the opportunity of performing with New York philharmonic. Invitation to Sarasota Music Festival and first place at the Missouri MTNA Young Artist Competition number among her latest accomplishments. Liu holds a Master of Music at the Yale School of Music and a Bachelor of Music from Bard College Conservatory, where she double-majored in German Studies and Cello Performance. Click to watch Qizhen play! 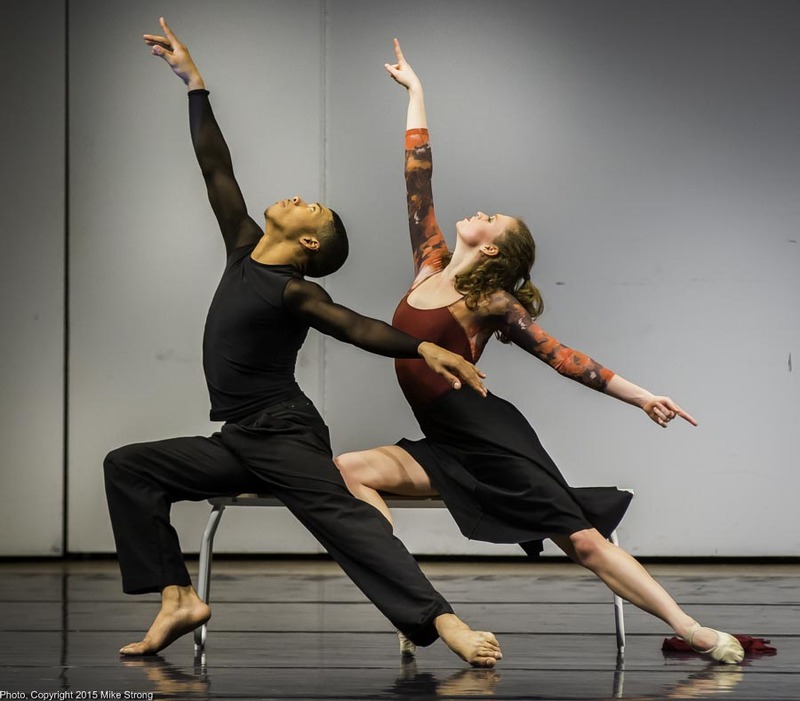 DaJuan Johnson is currently pursuing his Bachelor of Fine Arts in dance at UMKC Conservatory. Earlier this year he performed in Wylliams/Henry Contemporary Dance Company’s Cyprus Avenue and Kansas City Ballet’s Nutcracker. DaJuan was recently featured in DeeAnna Heitt and Ronn Tice’s The Miraculous Man. He will also take part in Modern Night at the Folly and Störling Dance Theater’s Underground, February 2016. Before entering UMKC Conservatory of Music and Dance, Johnson studied with Raymond Parks at Central Visual and Performing Arts High School in St. Louis, Missouri. DaJuan’s tap ensemble performance, The Cotton Club, received First Place in the Fox Performing Arts Charitable Foundation’s 2012 St. Louis Teen Talent Competition, including scholarship underwritten by Ameren Corporation Charitable Trust. St. Louis, Missouri native John E. Roberts trained for eleven years at the Center of Creative Arts (COCA) directed and distinguished by Antonio and Kirven Douthit-Boyd of Alvin Ailey American Dance Theater. FOX Performing Arts Charitable Foundation and COCA have featured John and his choreography in numerous musical theater productions including Legally Blonde, AIDA, In The Heights, and Ragtime. He has also worked with Rolando Yanes (Milwaukee Ballet School), Alonzo King (LINES Ballet) and River North Dance in Chicago. 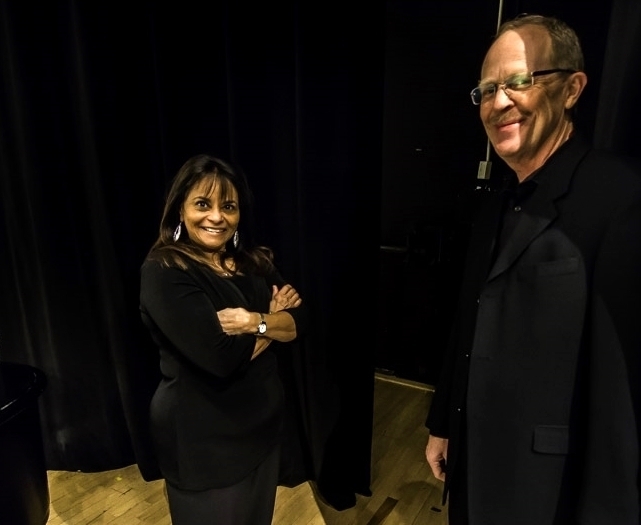 Prior to coming to UMKC, Lee D. Thompson was Professor of Music and Head of Piano and Accompanying Studies at Whitman College, Walla Walla, Washington, where he taught piano, accompanying, foreign language diction for singers, and courses in the history of music. Dr. Thompson served as a member of the summer music staff of the Santa Fe Opera 1996–2000. In 2000 he was appointed an American Cultural Ambassador by the U.S. State Department and worked with the Mongolian National Opera as principal vocal coach for its first-ever English language production. Thompson has toured internationally as a collaborative artist, performing concerts in Vienna, London, Graz, Austria; Kunming, People's Republic of China; and New York City. Thompson has a DMA from College-Conservatory of Music, University of Cincinnati, and a MM and BM from Baylor University. He has also held teaching positions on the music faculties of Baylor University and Ohio State University. 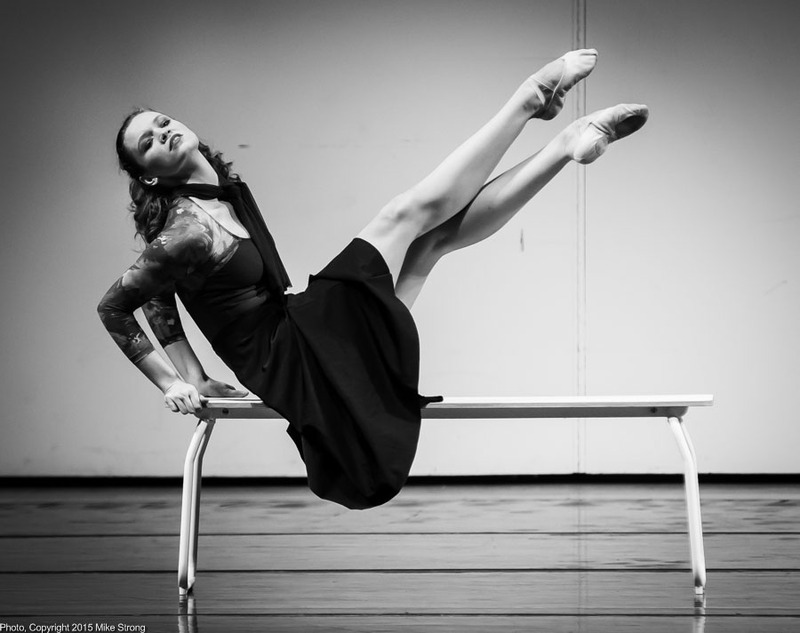 Phoebe Perry is currently in her junior year at University of Missouri - Kansas City, studying to achieve her Bachelor of Fine Arts in dance and a Bachelor of Art in psychology. 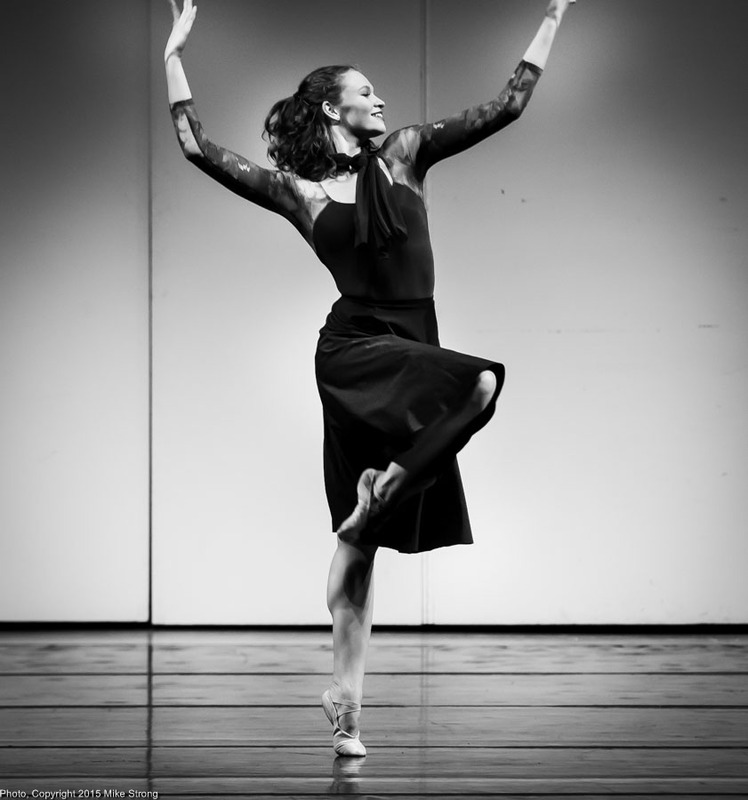 Phoebe’s previous performances include Alvin Ailey American Dance Theater’s 2014 Kauffman Center production of Memoria, DeeAnna Heitt and Ronn Tice’s collaboration The Miraculous Man, and UMKC Opera’s Cendrillon. 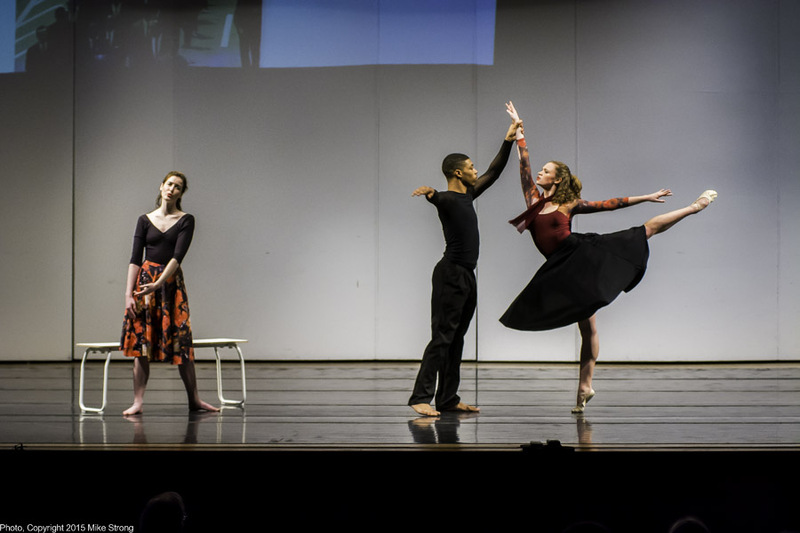 Perry has also danced with Maya Taylor Dance, Omaha Dance Project, and Creighton Dance Theatre performing in original works as well as Swan Lake, Coppelia, The Nutcracker, Les Slyphides, and Pas de Quarte.